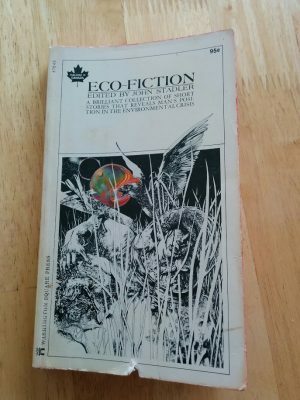 Eco-fiction is a little gem that I believe is out of print. You can find a used copy on Amazon, Abe Books, and other places, or perhaps in your local used bookstore. I found mine at the prior-mentioned Olde Jolly Bookstore in Port Moody. This book was published in 1971 by Washington Square Press, but within this collection are even older short stories dating back to 1933. I was, frankly, surprised at how many well-known authors contributed short stories to this anthology: Ray Bradbury, John Steinbeck, Edgar Allan Poe, A.E. Coppard, James Agee, Robert M. Coates, Daphne du Maurier, Robley Wilson Jr., E.B. 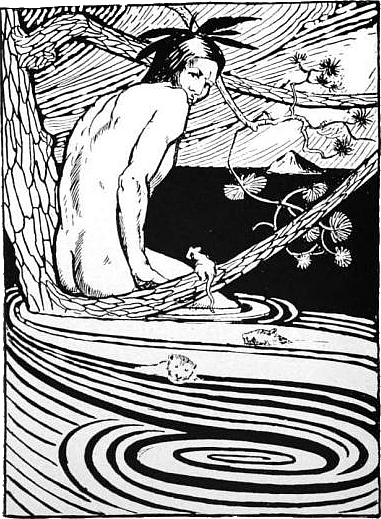 White, J.F. Powers, Kurt Vonnegut Jr., Sarah Orne Jewett, Frank Herbert, H.H. Munro, J.G. Ballard, Steven Scharder, Isaac Asmiov, and William Saroyan. The earth is an eco-system. It possess a collective memory. Everything that happens, no matter how insignificant it may seem, affects in some way at some time the existence of everything else within that system. Will he follow the herd into the slaughterhouse? These stories are interesting hidden treasures from popular classic science fiction authors. I had never known, for instance, that Daphne du Maurier wrote the short story “The Birds” (in this collection) that went on to become the famous Hitchcock movie. My favorite story in Eco-Fiction is the haunting “A Stay at the Ocean,” by Robley Wilson, Jr. In it, a family goes on vacation and discovers that the ocean’s tide is becoming peculiarly low for a very long time, longer and lower than usual. It is so low, creating vast beaches over many miles, that many other vacationers take advantage of the larger beach and drive out on it to investigate. Seems that tides are very screwed up. But what about high tide? Will it happen, or is this a permanent change? I thought the little story was a warning about potential tide systems being screwed up but also a clever look at the idiocy of humans in risking their lives, or blindly trusting others and following them, to test out something that is clearly suspicious and deadly!